Scientists are smart people who sometimes come up with incredible breakthroughs that changed the world and have a great impact on our lives. This breakthrough that we are going to discuss today is kind of strange. We don’t know if we are to call it breakthrough, but it is funny, whatsoever. 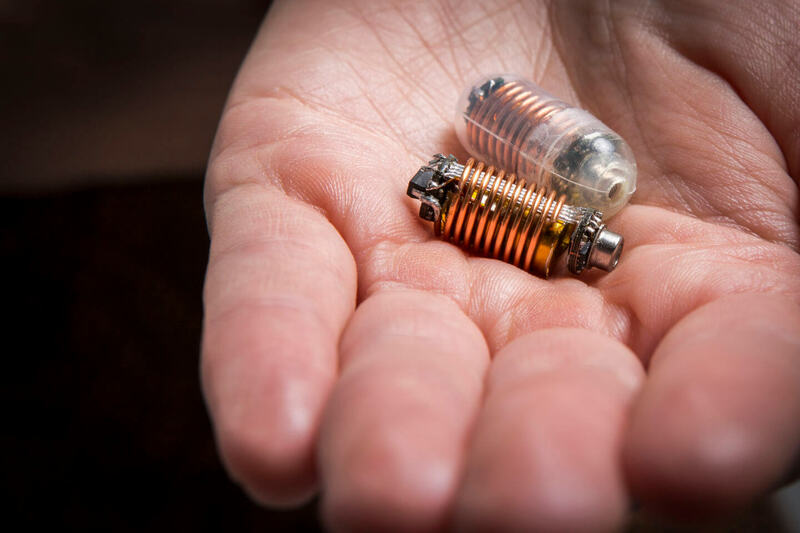 A group of Australian researchers have broken the wind, meaning they invented an ingestible electronic capsule that monitors gas levels in the human gut. So, this means it can tell you when you are going to fart? 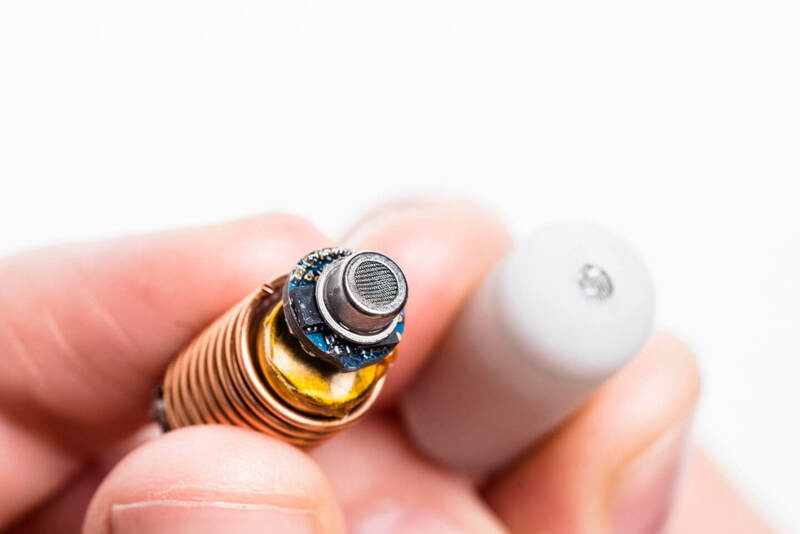 The capsule has to be paired with a receiver and an app on your phone that will report what happens in real time in your stomach and colon. The team of researchers, led by Kourosh Kalantar-Zadeh of RMIT University and Peter Gibson of Monash University think that this discovery will help read the gas’s movements inside our bowels and thus bring some more light into how our intricate insides work and what are the multitude of microbes that dwell there. 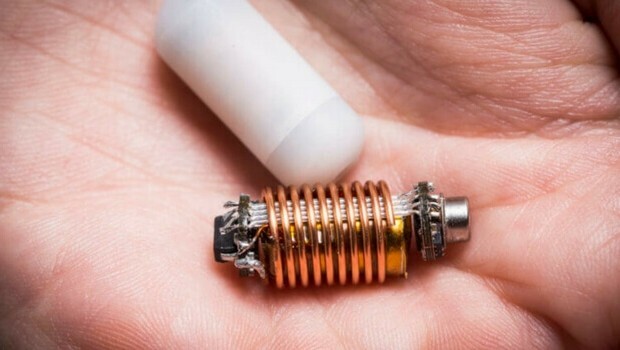 This pill can make more light into how our intestinal wind pattern work and what gaseous turbulence different foods can provoke. 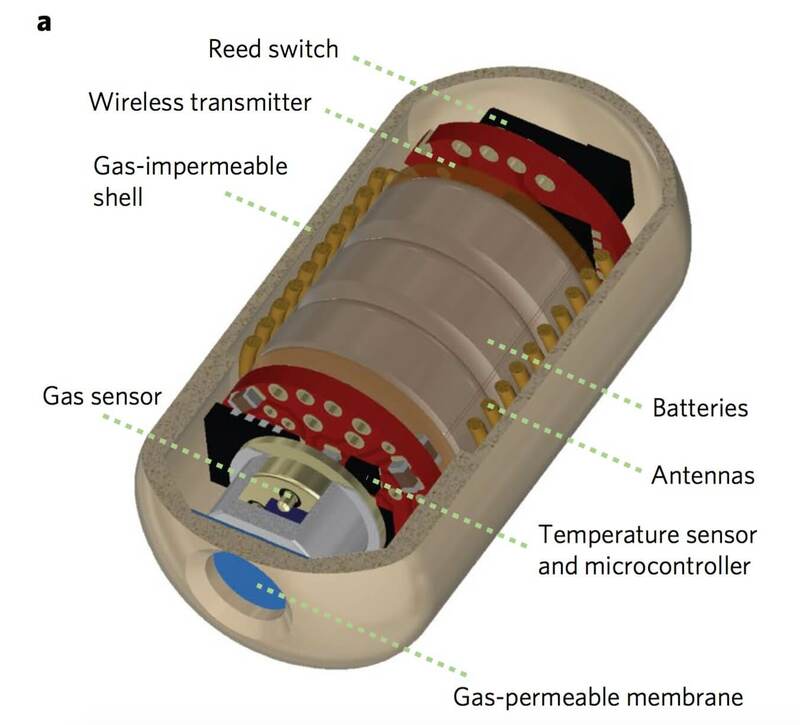 “Our pilot trial illustrated the significant potential role for electronic-based gas-sensing capsules in understanding functional aspects of the intestine and its microbiota in health and in response to dietary changes”, say the researchers. 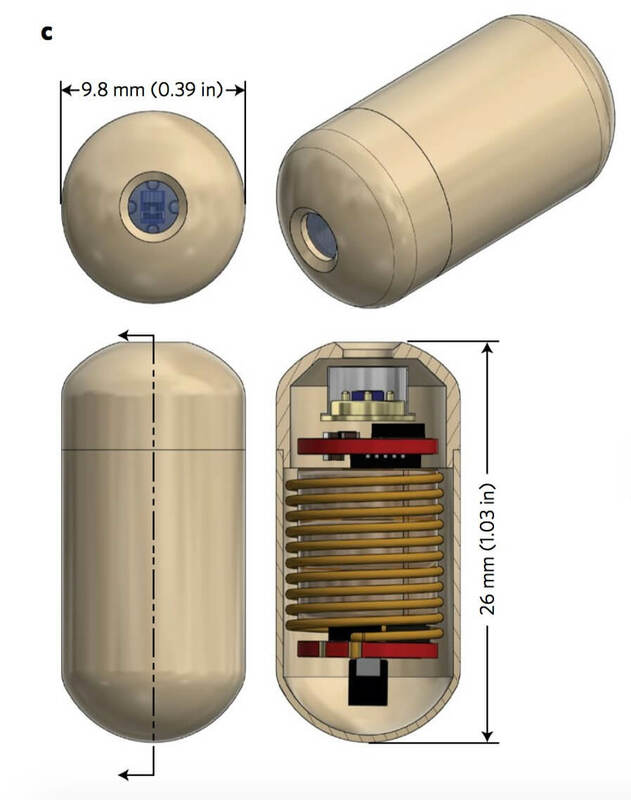 The capsule in question is only 26 mm in length and an external diameter of 9.8 mm. 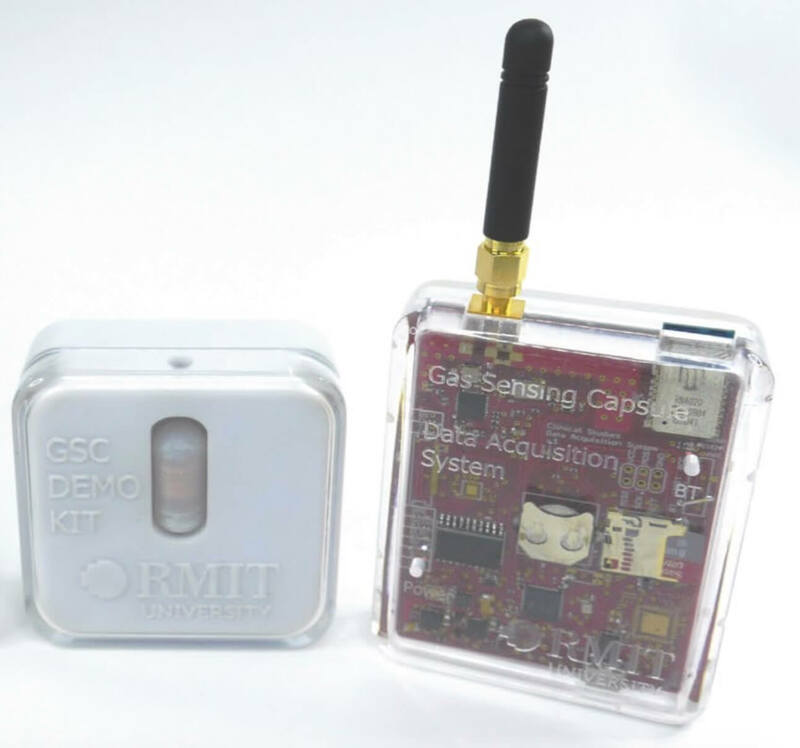 It has a sensor for temperature, CO2, H2 and O2, as well as a battery and a transmission system. 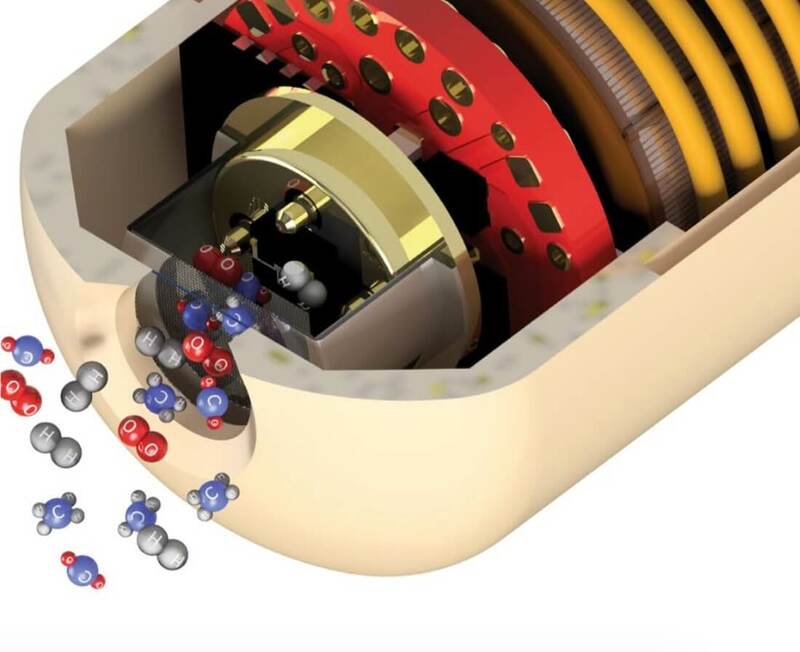 One end of the capsule contains a membrane that lets gas pass through. After testing the prototype on pigs, this week, the researchers made tests on six healthy people. 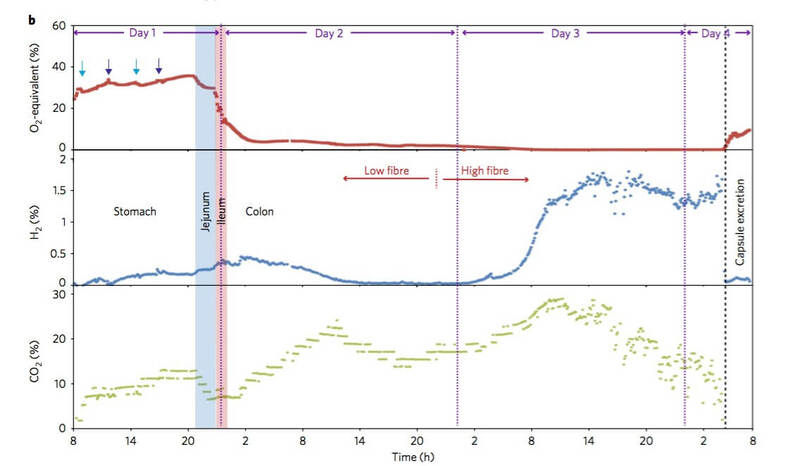 It took 20 hours for the pill to travel from one end to the other and in these 20 hours, it revealed important information about the gut position and various gases. The experiments are continuing. “have remarkable potential to help us understand the functional aspects of the gut microbiome, its response to dietary changes, and its impact on health. It might not be too long before a routine healthcare visit involves a check of your vital signs and a request to swallow a tiny electronic monitoring device”. 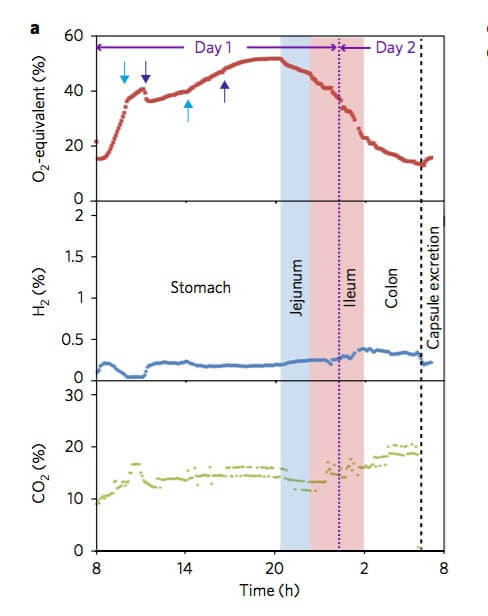 So, it seems this is not just a windy discovery that will blow with the first guts of air, it might be here to stay. We shall see.